Reading is a favourite activity in our house. I love a good book before bed and M loves to read all day and night. We regularly visit the library to ensure we have a selection of books to read (there are only so many times you can read the same book!) so when I was offered the chance to review Ebookadabra (an app with hundreds of children's books). I will admit now that for kids books I am a lover of having paper books so I was dubious about whether I would enjoy using this or not and I am still a lover of paper books but I can definitely see how this has a place in a child's life. 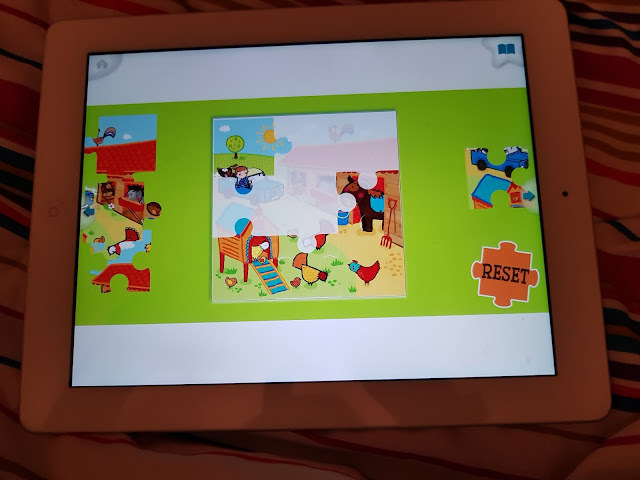 We have been using Ebookadabra, an iOS app aimed at children aged 5 and under, for a number of months now and M (3) loves it. I was concerned that it might mean she would stop picking up paper books but I was worried for not reason. 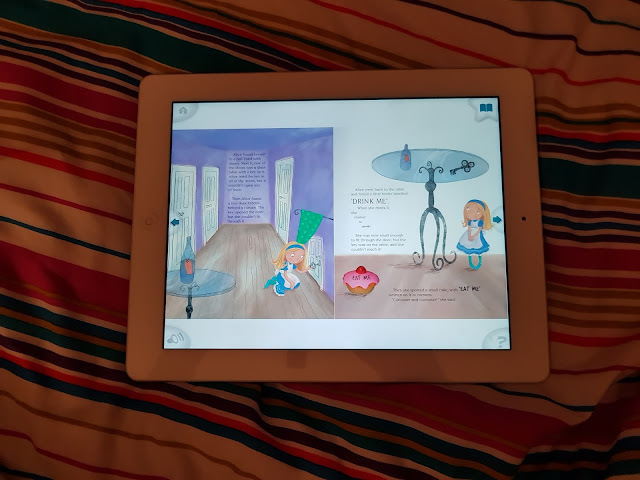 The app has hundreds of picture books, with audio, from publishers such as Disney, Harper Collins and Bloomsbury. A great feature for parents who might not manage to be there to read a bedtime story is the option to record an audio book. As well as books there are games to play and stickers to collect. All which encourage your child to read more and more books. If you are not sure that this app is for you, there is no need to worry as you get your first 30 days for free just cancel before your subscription is up and you will not be charged. After your first month the app renews at £2.99 a month. This allows a family with up to four children to have access to hundreds of books each month - less than 1p a day. Not bad. The app works on iPads and iPhones using software 8, 9 and 10 and it is recommended that the device is no older than 3 years to ensure the app runs smoothly. I have an iPad 4 which is one of the older ones and it did struggle at times but I realised that was down to the iPad rather than the app. Current research, undertaken by Ebookadabra in partnership with Censuswide, has found that an amazing one in 20 British parents (with children aged between 3 and 7) admitting that their child had never read a picture book! This app can help with that! We love going to the library and have done since the children when born but even then I find that we have a limited choice of books to choose from. The research echoed this, finding that of the top 10 children's books the most recent was published nine years ago, seven were published over 30 years ago - and all of them are represented by major publishers. Ebookadabra has allowed us to read more books and different books from what we have found in the library. She loves looking through the categories to find a book to read. I would recommend having books downloaded beforehand as we found M got a bit impatient waiting for books to download. The games are fun and has been a great distraction for M when she has had to sit at the side of her brother's gymnastics class. She finds it easy to use and loves reading the books with me. As she gets older it will be a great app for helping her learn to read herself. Yes we will still buy books, and take books out from the library but this app is just yet another method of allowing a child to have access to a huge range of books. I was given a free subscription to this app in exchange for an honest review. All opinions are mine and mine alone.